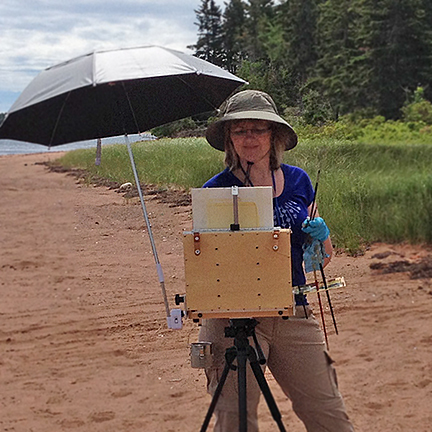 Inspired by nature in all its beauty, I live and paint from her home in Rothesay, NB. Trained and registered as an Architect (Reg. AANB), painting has always been my passion. I’m working with the award-winning firm Acre Architects in Saint John, we are working on some very amazing projects at this time and have recently been awarded the “Prix de Rome” in architecture. We have a lot of exciting things coming up in the future. I work mostly in oils but also in both watercolour and acrylics. 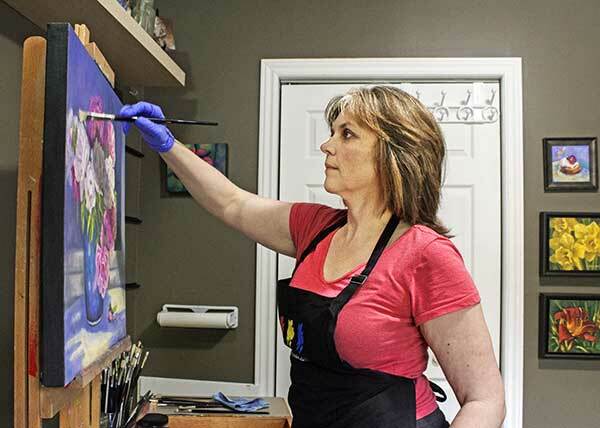 I enjoy painting a variety of subjects including, landscapes, boats, seascapes and florals. I use painting as a relation tool. 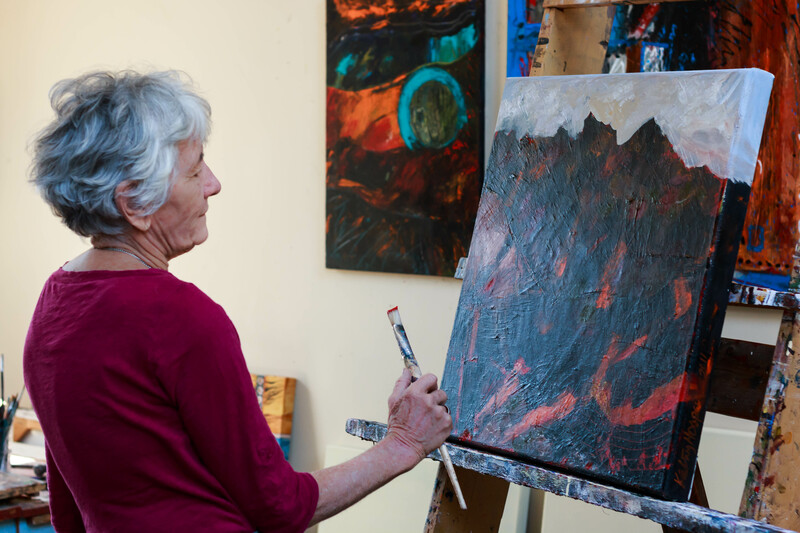 When I sit down at my easel I can tune out everything else in my life that is going on at that moment. I love painting landscapes since it is very different from my work in architecture, less strict and more fluid. For me I would have to say oil paints. I keep trying different brands and types of acrylic paints, but I haven’t been happy with the vibrancy of the colours. As you can see from my paintings I love vibrant colours. I will keep playing around with acrylics, but they aren’t my favourite. Name three artists that inspire you? Gordon Harrison, Tom Thomson and Emily Carr, their art really shows off the beauty of our Canadian landscape. 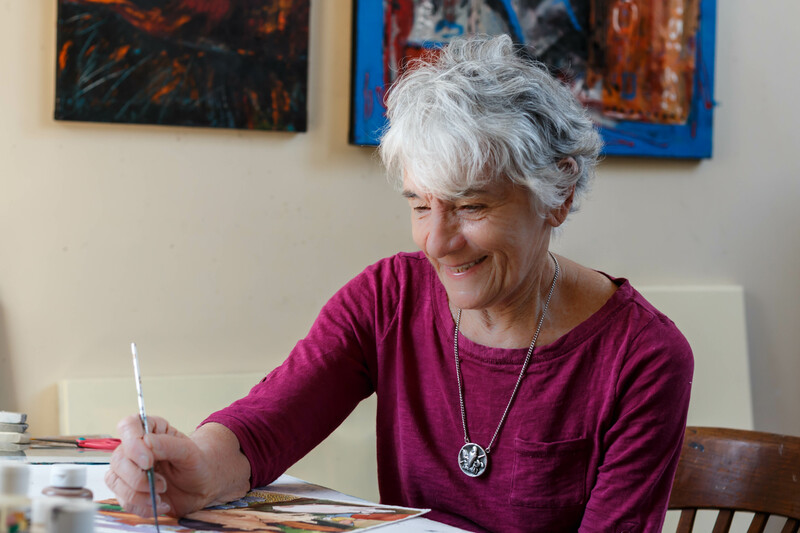 I am Donna Berry a visual artist and I produce realistic works of art using water mixable oil paints. Nautical scenes of the beautiful Bay of Fundy are often my inspiration. I enjoy the contrast in tonal values from the deepest blues of the Bay to the sparkling of highlights on the surface of the water produced with a mixture of yellow ochre, raw umber and white among other colors. Is there an element of art I enjoy most? The element of art I most enjoy is the period when objects in the painting start coming together. This happens as I work through the details by adding paints and blending various area together. At this point I will stand back and view my work. Although the painting is yet to be complete it will hold a degree of positivity and will soon be ready for public showing. Best and worst part of profession? The best part of being an artist is having the ability to take an abstract idea through a creative process and with paints, brushes and canvas am able to transform the idea into a painting. The worst part of my chosen profession is the uncertainty over whether a painting is sellable. Evenwith this factor I still paint subjects that inspire me rather then choose to paint what is popular at the time. What is integral to my work? An integral part of my work is producing paintings that reflect the beauty displayed in scenes around me. Beauty is everywhere and my challenge is to capture this on canvas. The most important tool for an artists in my opinion is the brush. The brush is the connection between the creative process and the canvas. As color is applied with the brush the creative process begins and with many necessary strokes applied a new painting begins. I choose to do this type of work because it is an important part of who I am. I express myself on canvas especially with my surreal paintings such as the works I produced after the implosion of the old General Hospital in 1995. Hello to all the KCST fans who check our pages. I rather thought the switch to fall for our Kings County Studio Tour would be a pain…but it’s been a gift to me. My studio has a rotten sill and a problem with the wall and now being repaired in time for Oct. 13 and 14. By then it will be repaired, not perfect but once again heat-able during the cold months. It’s been a long time coming but without resources, rotting sills stay rotting away allowing assorted critters access. My neighbour Mr. Blaney called and said “you must be feeding your visitors well, they seem to be enjoying themselves.” When I asked why,he said he saw a mother and three baby racoons waddle up his drive. He watched come out from under my studio. So much for thinking I had live trapped a mother in the spring. So if you visit you’ll see for yourself …not the racoons… but how the studio has been fixed. I might take out the window in the painting studio….hate to loose the natural light….but it might make the wall easier to fix…and cheaper. I should have a studio sale but that will have to wait…I am in the middle of three projects, one is a solo show at UNB Art Center in Fredericton next year. 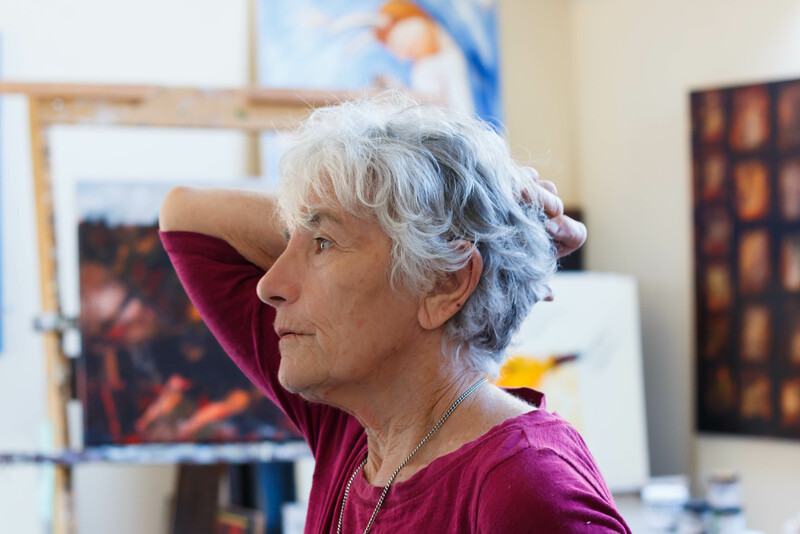 It consists of a series of portraits, 3 x 4 feet of women I consider survivors…not just of illness but of life in general. This is what I’ll be working on if you stop by. The second half of the Fredericton exhibit is a book launch and show of work featured in “Capturing Crime: 30 Years of Court Art”, the writers are Greg Marquis, Roslyn Rosenfeld and Connell Smith….with a few memories from me. It will be launched next October 2019. Clay has been the focus of much of my art life because it was immediate. Push on it’s receptive surface and you have an immediate response. I still love it and will come back to clay again. Beside using clay to make art as in the Future Fossils, a solo exhibit at the New Brunswick Museum, it has been a means of survival. My various series of mugs have sold well including a fun Christmas series of hand built work. I missed painting so I started before the Fossil Exhibit actually with the Small Trees Series of which three large are part of the McCain Collection in Florenceville. So I continued painting with acrylics and now oils. I realized I missed this process …hence the portraits beginning the portraits in acrylic and finishing them in oils. It will be interesting to get some feedback. I have dabbled in assorted mediums like printmaking and stone carving…and simply drawing of course. My favourite is life drawing, bodies are such a challenge. DO YOU HAVE A MAJOR INFLUENCE? My first influence came from my teachers, Ted Campbell and Fred Ross…. and Saint John’s Miller Brittain. I have admired many people over the years including Toulouse-Lautrec who made loose frantic marks that became a realism without being hyper realism. Early on Klimt and Schiele….those drawings are amazing! And Canadians like the independent thinker and art maker, Gathie Falk and Patterson Ewen. (plus Andy Goldsworthy who did the first of the scultpures with rock). And so many more. But words have also been important to me, so Kay Smith ( poet and English teacher at Vocational School, now Harbour View High) has been a major influence on my life. I have 60,000 edited words for a creative non-fiction book on Gerry’s mother, a first world war bride, called (maybe) An ordinary Girl: The Life and Times Of…… Two of the stories were in the juried Fog Lit Journal last year, which will be available during FogLit this year in September. I have been making art ever since I can remember. My mother always encouraged me to draw and paint. It has always been a part of who I am. Describe your creative process. Does experimentation come into play? This method is a very non-traditional method of painting, it uses wax in a similar fashion to batik but I use rice paper and watercolour instead of fabric and dye. This process is very exciting to me with the many alternating layers of colour and wax. Normally you would watch your painting come to life as you paint it, but with this method of painting I have to trust my creative instincts until the end when I remove all of the wax and see the final result. I am constantly experimenting and trying new mediums and techniques; as an artist I believe you never stop learning. What draws you to paint natural forms and landscapes? Growing up in the country gave me a lasting connection with nature. The vast array of colourful flowers, beautiful landscapes and peaceful trails through the woods kept me captivated. These qualities of nature are what fuel my creative spirit and are reflected in my art. Colour seems to play an integral role in your pieces. Can you talk about your approach to colour? I have always been drawn to bold rich colours. With the watercolour batik I do not mix colours. I layer one colour and after it is dry, I layer another one on top of it to make the next colour I need. This gives the colours a variegation and glow that is not possible when you use a mixed colour. I have recently started painting flowers in oil; I love the vibrant colours and texture that can be achieved with this medium. Check out the amazing new work from Martha. We love all the fresh new colours. 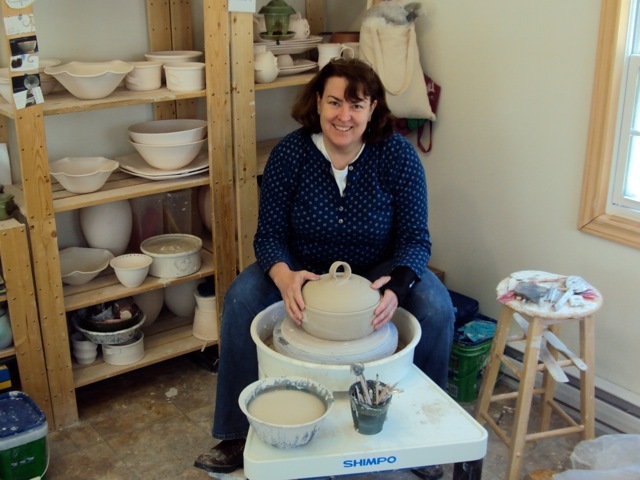 My pottery is constantly changing and evolving, most is functional although some pieces are purely whimsical. My functional forms are simple with subtle alterations, a little texturing and glazes that blend together seamlessly, pleasing both to the eye and the hand. It is designed to be used and enjoyed daily. Because each piece is made by hand, no two are identical. This is due to the nature of the clay, the glaze and me leaving signs of the creative process like throwing lines and marks from tools or my fingers. There is something special about things made of clay. Each piece unique and imperfect, very much like our selves. As someone arranges flowers in a vase, arranges food on a platter or wraps their hands around a warm coffee mug, I like to think that I have touched them in some way. I was born in Kenya, when I was about four we moved to South Africa. After several moves, ( as a child you don’t ask why) but at last we settled on a very beautiful farm miles from anywhere and my younger sister and I grew up there with no “sensible” form of schooling. As a result everything was fascinating to us, plants, animals, everything around us. We played and drew and painted all the time. I wish all children could have the education we had. The role of the artist in society. To give people another way of seeing and feeling. I think a very important role. How has your art changed over time. I tend to work through ideas which I am interested in and generally a series will emerge. Generally I work with figures either animal or human and often they become mixed up, but I also love abstract painting too. I don’t think about it often but I suppose mostly it is how important it seems to have to become well known, I think it makes it hard for most people who might have wanted to be “an artist” if they weren’t scared of not being good enough. Of course there is also the problem of probably having a hard time making a living, but its quite a wonderful way of being and living. Yes of course it should be. Its a very hard way being able to pay bills etc especially to start with so a great many people give up and teach and thank god they do for the kids, but it is hard to also do your own work.